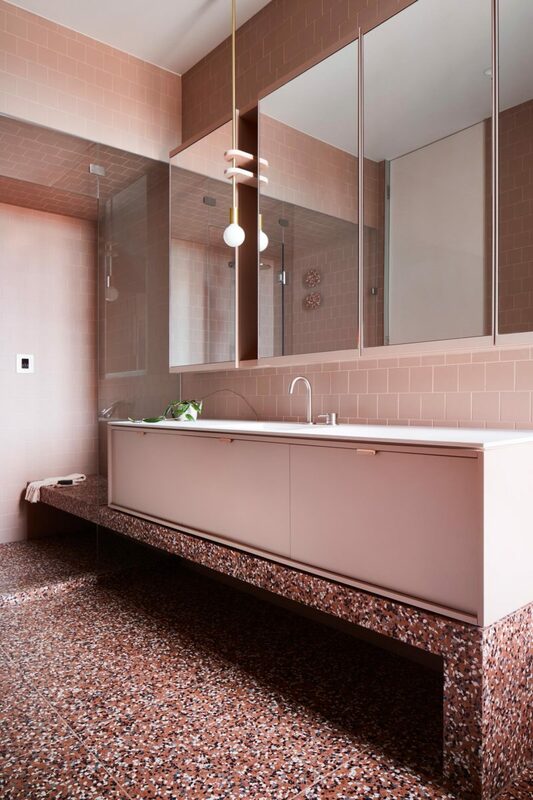 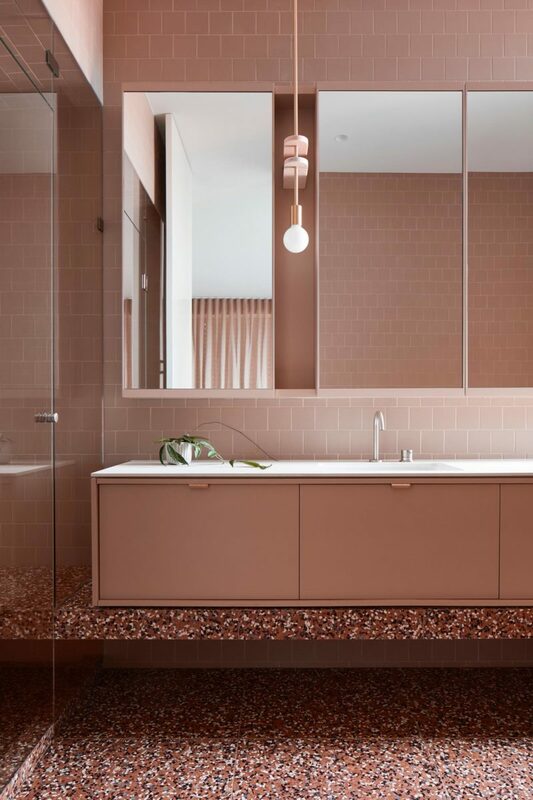 The eye-catching Richmond Residence features an ensuite based around Signorino’s EM-35-09 Terrazzo tiles. 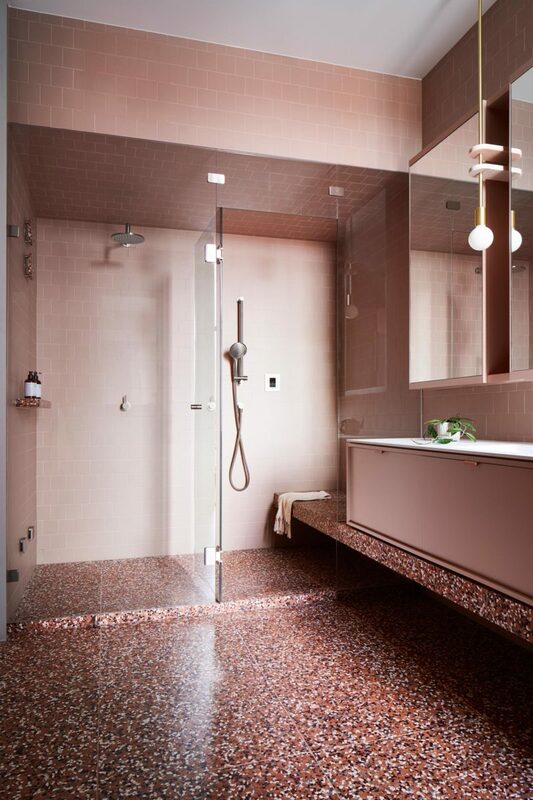 The tiles are cleverly employed throughout the bathroom including on a long floating shelf that carries through to a shower seat. 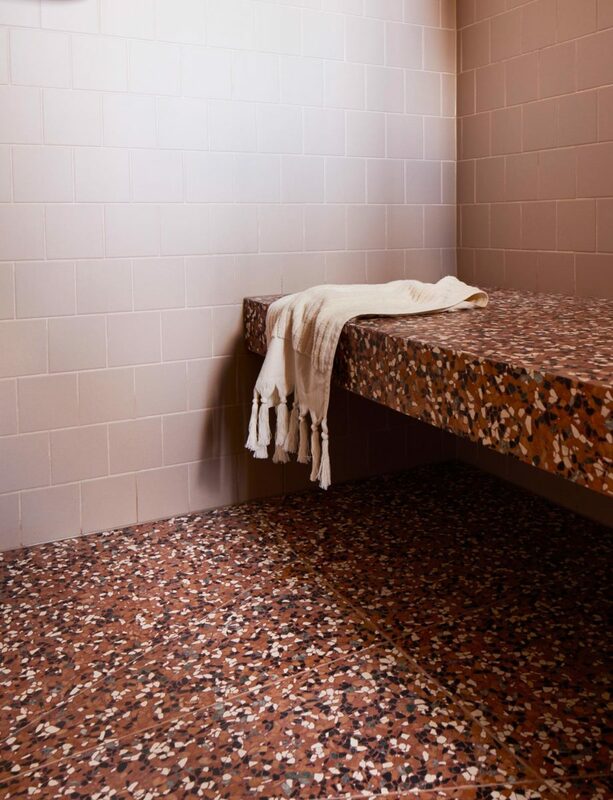 The heavy use of the bold Terrazzo is offset by more restrained wall tiles and joinery, ensuring the space retains a homely and sophisticated feel.